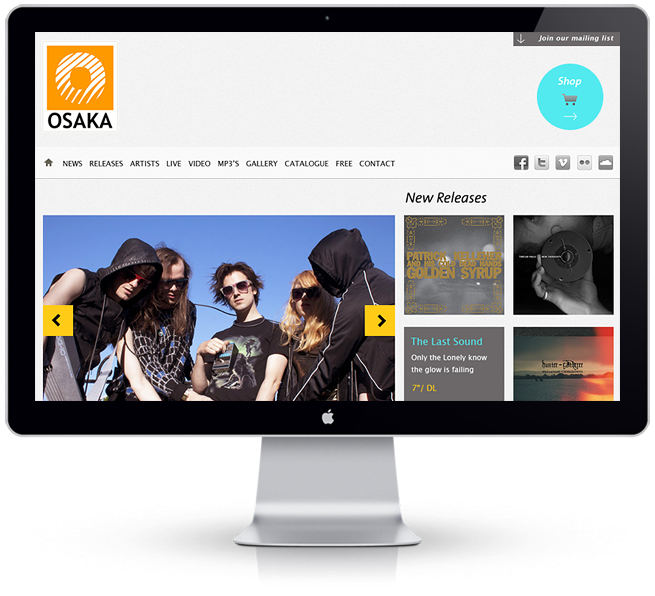 Osaka Recordings is an independent Irish record label, they wanted a complete overhaul of their website. It was important that certain key elements were obvious on their home page, their latest releases, news and any live dates needed to be easily seen. They also needed to able to edit and add information quickly and they needed a shopping cart to sell their physical and digital music online. We utilised WordPress for the CMS, blog and shopping cart with the online orders being fulfilled via paypal.